Over the past few decades, chronic migraine headaches have increased dramatically (up ~60%) among the population in the United States. Most of this increase has occurred among adults younger than 45 years of age, and women are slightly more affected than men. 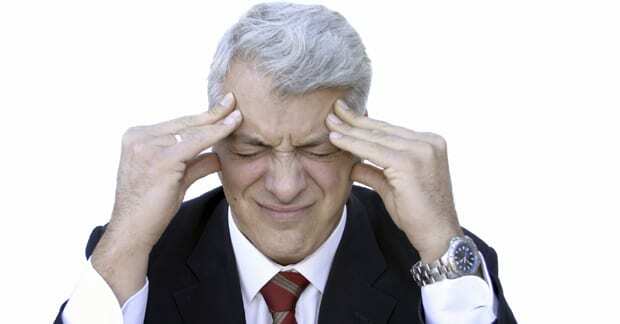 One study showed that 80% of women and 70% of men reporting chronic migraine headaches had at least one physician contact per year because of migraine headaches and 8% of women and 7% of men were hospitalized at least once a year because of the condition. In addition, chronic migraine headaches had a substantial impact on functional capacity with 4% of men and 3% of women reporting a chronic limitation in their normal activities because of migraine headaches and associated symptoms. Clearly headaches are having a big impact on society today, with major dollars spent on disability payments, hospitalizations, doctor visits, and medication prescriptions. Most patients also self-medicate with over-the-counter drugs. The use of these drugs has increased exponentially over the past 10+ years. All of this “treatment” has had little effect on the occurrence of headaches, nor do they provide any sort of lasting cure. The chiropractic approach to headaches is much different. The chiropractor looks at injuries to the spine (e.g. sprain/subluxation), which affect the nervous system. Headaches are just one of many symptoms than can occur when the spine is injured. Rather than masking the symptom with ineffective and potentially unsafe medications, the chiropractor treats the cause of the problem. Scientific studies have shown this approach to have merit. The chiropractor will use specific adjustments and postural exercises to improve how your spine functions, which may in turn reduce your need for medications, lower the intensity of the pain, or even eliminate the headaches altogether. Only a comprehensive examination will determine if you are a good candidate for chiropractic care. The examination should include a detailed history of how the pain has affected your life, tests of your nervous system, and possibly an x-ray examination to see how the vertebrae are positioned in your neck. If you are a part of the headache epidemic, it can be a sign that you have a spinal condition the a doctor of chiropractic may be able to help. Remember, taking medications to cover-up the problem rarely makes the actual problem go away.